Emily Ratajkowski loves jewelry. How do I know? Well, I asked her once when I met her briefly at the wedding of jewelry designers Yves Spinelli and Dwyer Kilcollin, otherwise known as Spinelli Kilcollin. She said she usually thinks of jewelry before her outfit. Like any jewelry-loving woman, she said she builds around her favorite pieces. 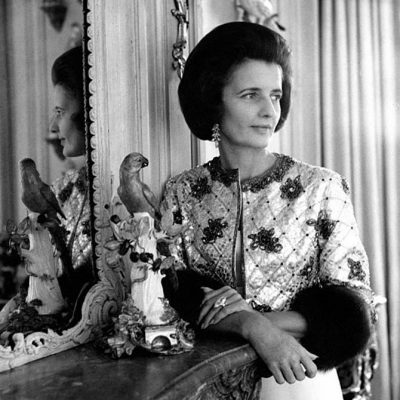 If Emily hadn’t told me herself, it would still be perfectly obvious she loves jewelry, because she piles it on like a pro. She is never shy about wearing big pieces. At Cannes, she shut down the red carpet in layered—not one, but two—huge colorful Bulgari necklaces. 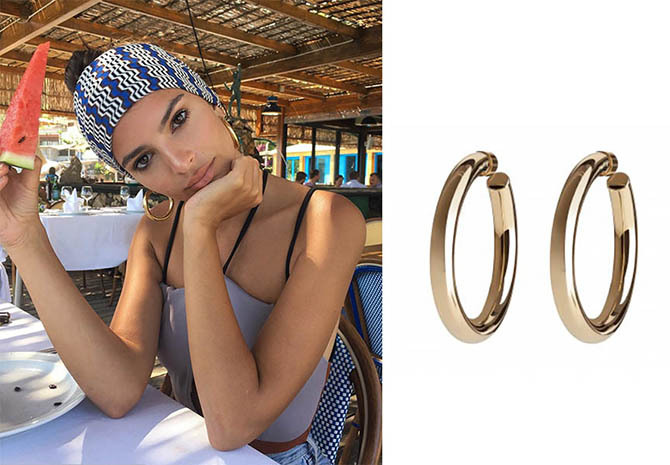 When the model is off-duty, as she was last week when she vacationed with friends in southern Italy, she also layered some of her favorite jewels from her own collection. At first glance, it might look like the jewelry is randomly piled on, but it’s all strategically worn, creating a variety of looks. Following are some of Emily’s favorite pieces. The stylish star has already shown her collection can be worn beyond the beach. 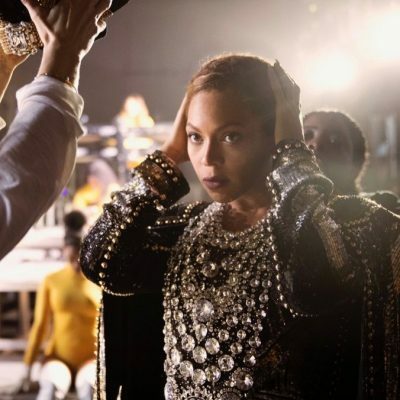 She has continued to wear her the jewels while working in London this week. 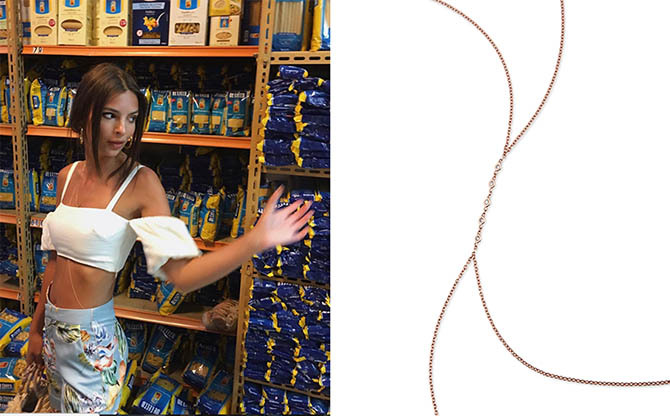 Emily Ratajkowski wearing her Jennifer Meyer Good Luck Charm Necklace ($3,950), Jacquie Aiche 7 diamond necklace ($2,340) and 5 diamond and gold body chain ($2,165). Emily Ratajkowski wearing Jennifer Fisher Baby Samira Hoops ($350) with an Emporio Sirenuse Olivia BiColor Swimsuit. Emily Ratajkowski wearing a Jacquie Aiche 5 diamond and gold body chain ($2,165) and Jennifer Fisher Baby Samira Hoops ($350)with an LPA top ($100) and Zara floral trousers. 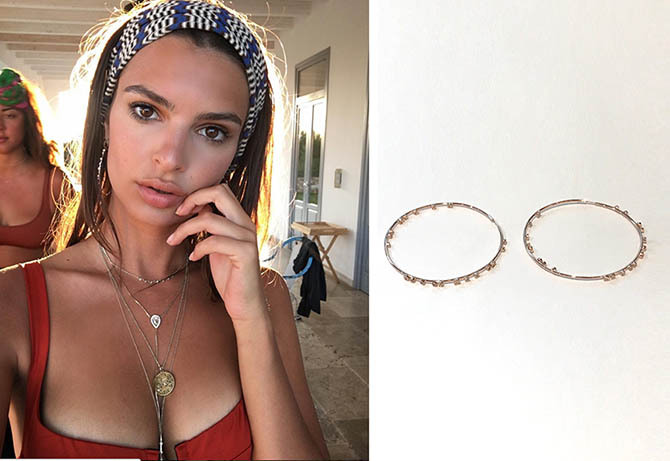 Emily Ratajkowski wearing Jacquie Aiche diamond sprinkle hoops ($5,000) and 7 diamond necklace ($2,340) as well as Jennifer Meyer Good Luck Charm Necklace ($3,950) with a Reina Olga Bardot Terra Cotta Swimsuit. Emily Ratajkowski enjoying breakfast on vacation in Italy wearing her Jennifer Meyer Good Luck Charm Necklace, Jacquie Aiche body chain and Reina Olga Bardot Terra Cotta Swimsuit. Who Made Emily Ratajkowski’s Engagement Ring?